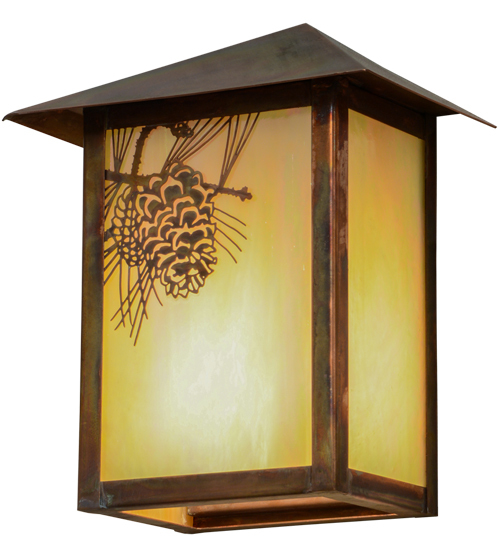 Description: Delicately etched of Solid Brass, a stunning pine cone with pine needles accent Beige Iridescent art glass on this nature inspired Craftsman Signature lantern. Designed with a frame and hardware featured in a Vintage Copper finish, this fixture is perfect for both indoor and outdoor lighting applications. Hand made in the USA, at the foothills of the Adirondack Mountains.